Mafia Wars Energy is the lifeblood of your Mafia Wars character. As such, energy management should be on the top of your list if you want to level effectively. Adding into our collection of Mafia Wars secret, here you’ll find a list of the most energy efficient jobs per tier. These jobs have the highest experience points ratio and worked correctly will provide you the most bang per energy point. This list was created assuming that you have the best mafia in place in your top mafia slots. If you do not the jobs should still be the highest EPR per tier but may not be as high as listed below. It is calculated simply by taking the experience a job gives and dividing that value by the amount of energy required to complete the job. The higher the better. This job requires tokens and cars which you can make on this tier by doing the Manufacture Tokens and Get Cheating Deck jobs in the jobs preparation section of this tier. These jobs both have an EPR of 1.75 so be sure to factor this in when working on this tier. This job requires an Untraceable Cell Phone which you can get by doing “Rob an Electronic Store” on the Enforcer tier. It only has an EPR of 1.381 so you will have to use it to fill in when you have more than enough energy to level. The first on the list “Establish a Loansharking Buisness” requires 3 Politico Corrupto per job. These are acquired by taking over a Bribery Ring in the Cuban business section. You will need a lot of these so buy that business and upgrade it as fast as you can. Ripping through levels at breakneck pace is only possible if you manage your energy effectively. Use this quick list to maximize your leveling experience. 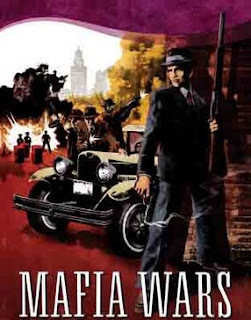 Check out more about Mafia Wars cheats and dominate the world of Mafia Wars today! good job with the experience point ratio updates.